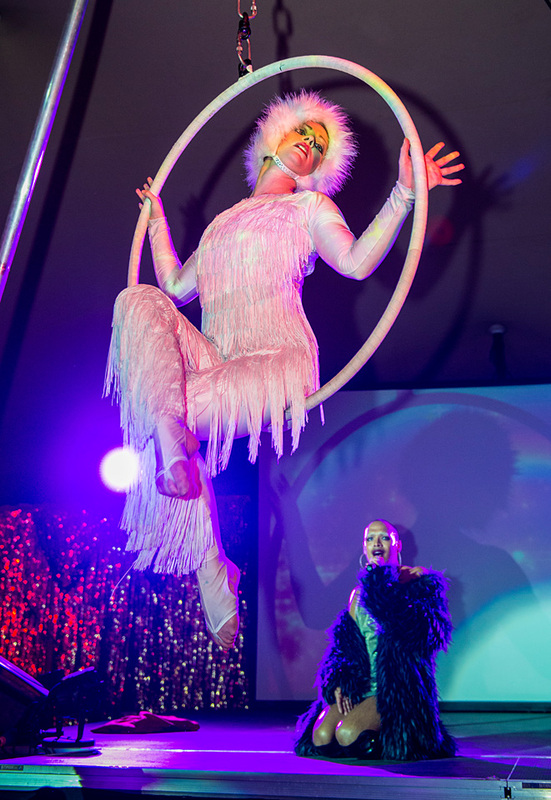 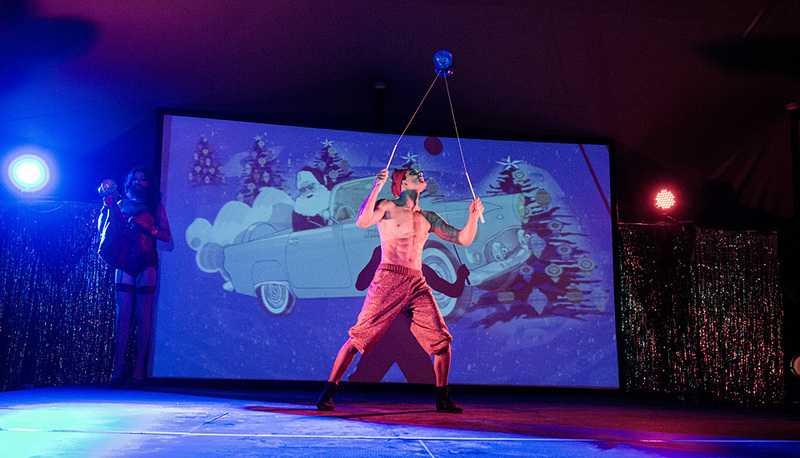 Santa's Stocking is a Christmas Circus Cabaret Show created by Zero Central for Lost Rivers Elephant. 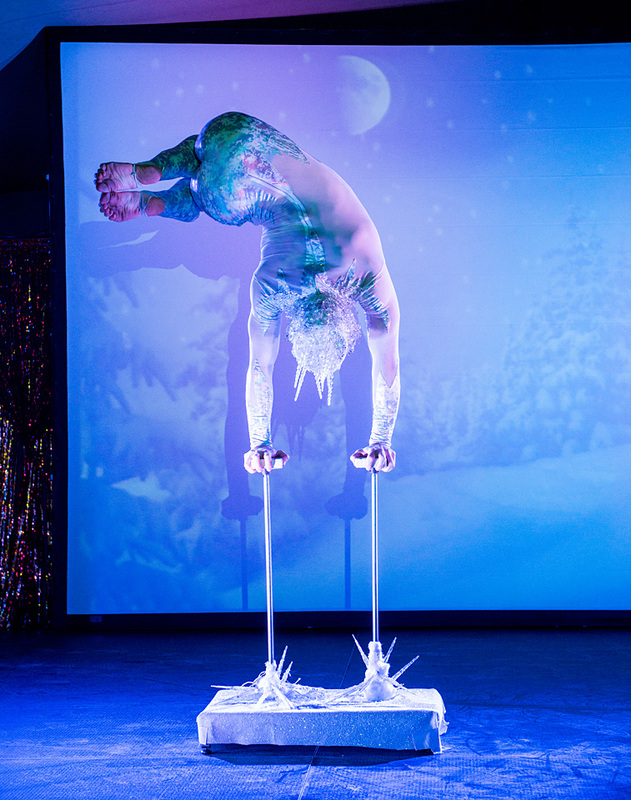 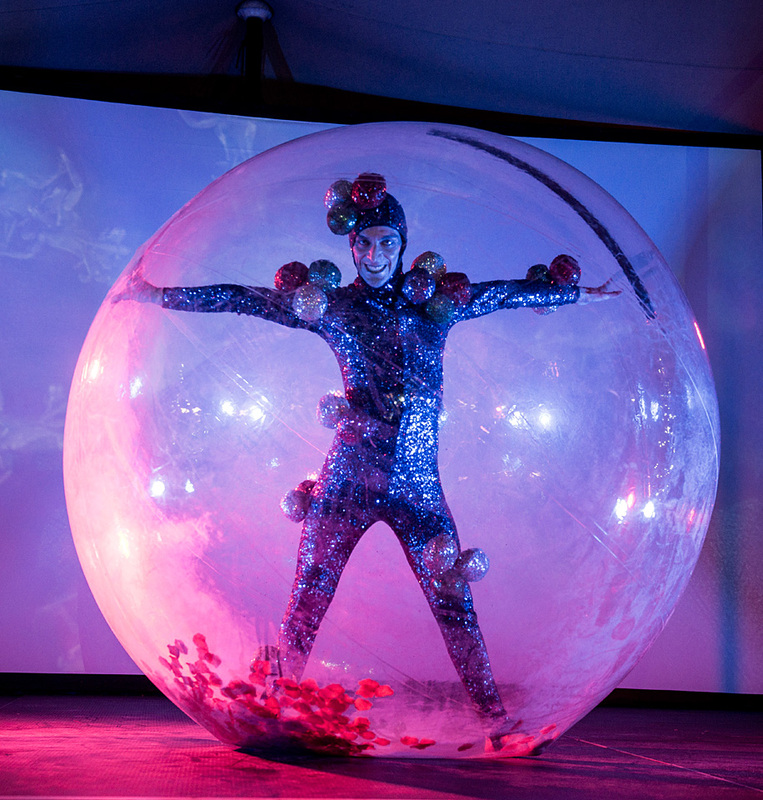 Overflowing with circus acts as you've never seen them before, Santa's Stocking features a Hula Hooping Candy Cane Girl, a Contortionist in a Snow Globe and a Knife-Throwing Elf, performing to a remixed festive soundtrack and projected animated set. 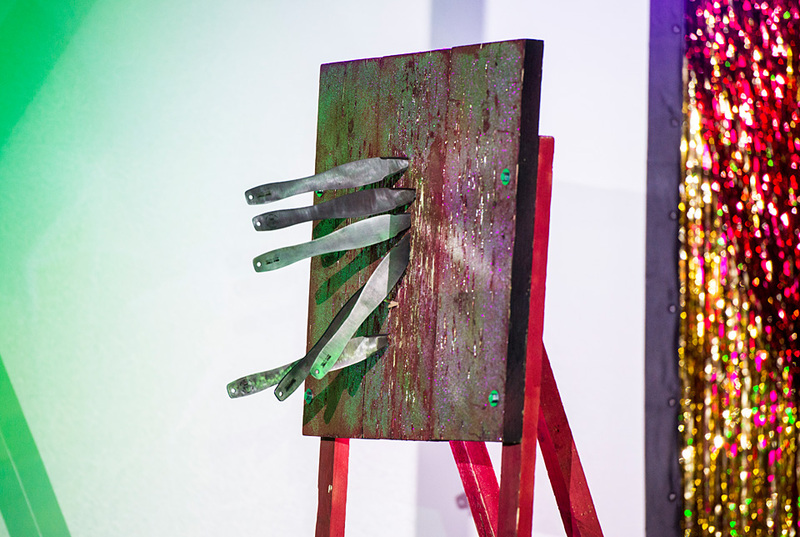 Soundtrack and Animations by Graham Sugarlump Power.